DJ Hollywood Day in Las Vegas | Do You Hear The Music? Today is a very exciting day as a good friend of mine, Lee Vlastaris Jr. better known as DJ Hollywood, is being presented with a Key to the City of Las Vegas which will also make December 23 from here on out, DJ Hollywood Day. 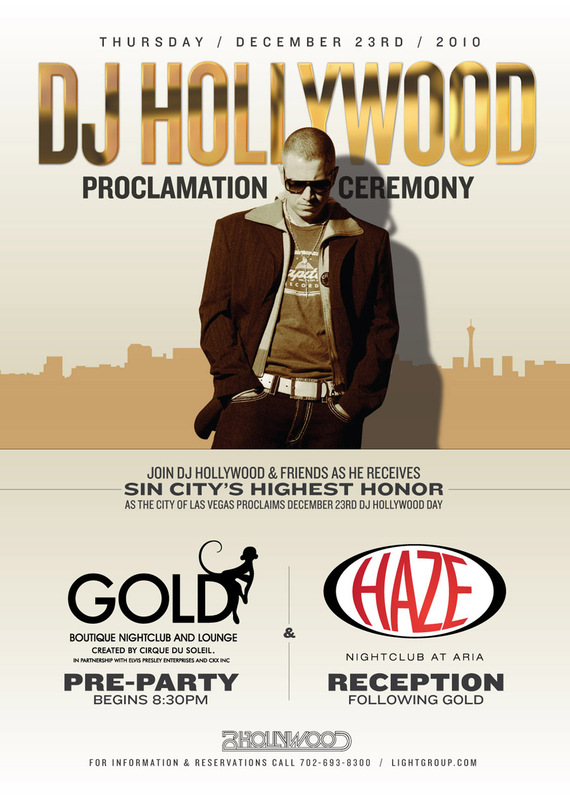 The festivities kick off tonight at 8:30 p.m. inside Gold Lounge at Aria with proclamation ceremony at 9:45 p.m.